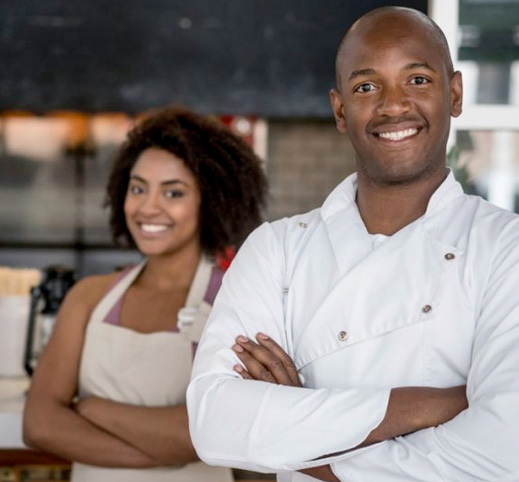 Save time and money with a new Casio Electronic Cash Register (ECR). your customers satisfied and spending! 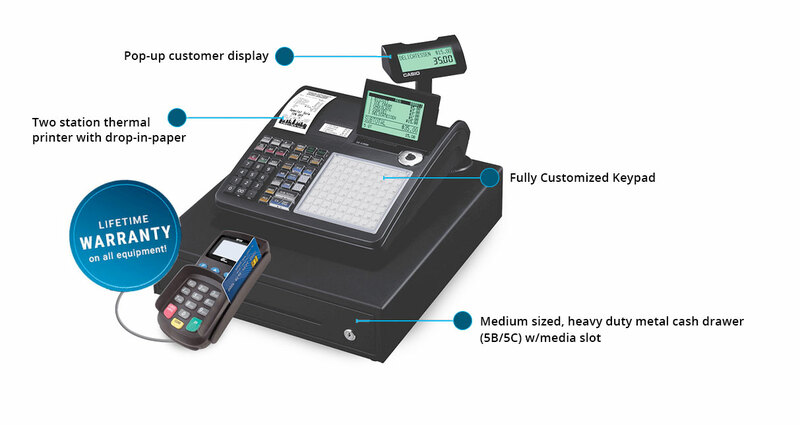 Harbortouch has partnered with Casio to offer cash registers with integrated credit card processing. 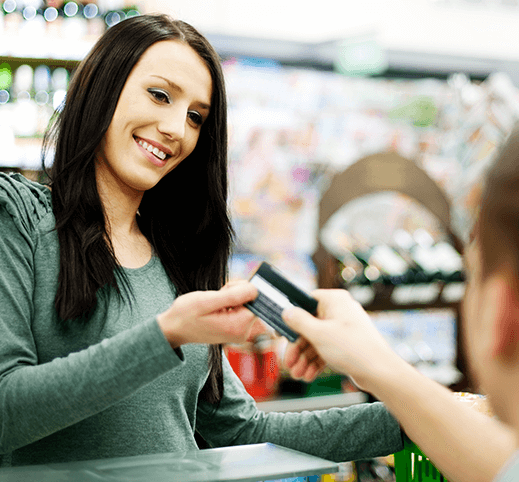 Streamline your checkout process with this integrated cash register solution. Complete with cash drawer, integrated receipt printer and backlit customer display, this cash register is the perfect solution for any retail or restaurant establishment. 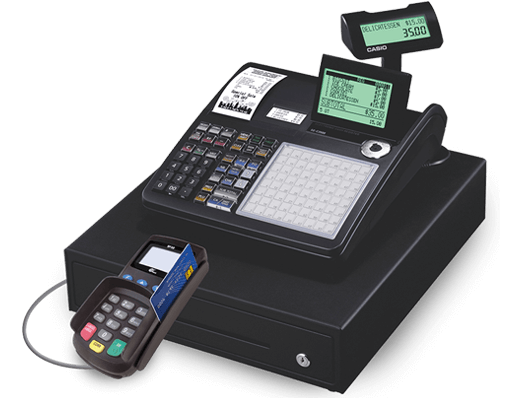 Each electronic cash register comes complete with a secure PCI compliant integrated payment terminal to enable credit and debit card payments. This integrated device allows you to track all of your daily cash, check and credit card sales in one place for a simple reporting solution. The cash register’s keyboard layout can be customized through a simple and easy to use online wizard, allowing you to set up your cash register to your exact specifications before it ever reaches your doorstep. 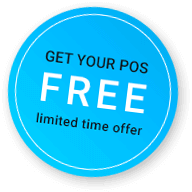 This innovative tool will save you countless hours trying to manually program your cash register. Harbortouch provides comprehensive training and 24/7 in-house support to ensure a flawless experience. 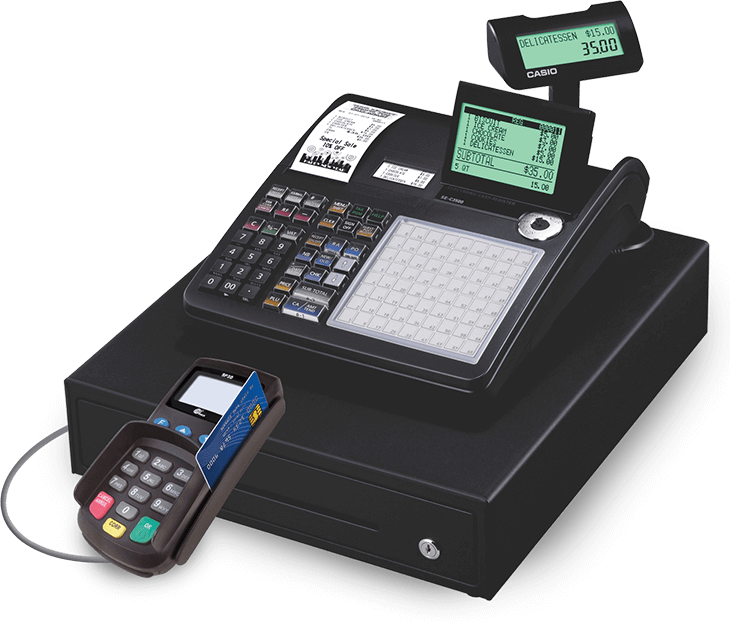 Best of all, Harbortouch will replace your cash register at no charge if yours ever breaks or malfunctions! Find out how you can get this cash register for free! StateAlabamaAlaskaArizonaArkansasCaliforniaColoradoConnecticutDelawareWashington DCFloridaGeorgiaHawaiiIdahoIllinoisIndianaIowaKansasKentuckyLouisianaMaineMarylandMassachusettsMichiganMinnesotaMississippiMissouriMontanaNebraskaNevadaNew HampshireNew JerseyNew MexicoNew YorkNorth CarolinaNorth DakotaOhioOklahomaOregonPennslyvaniaRhode IslandSouth CarolinaSouth DakotaTennesseeTexasUtahVermontVirginiaWashingtonWest VirginiaWisconsinWyoming Please leave this field empty.